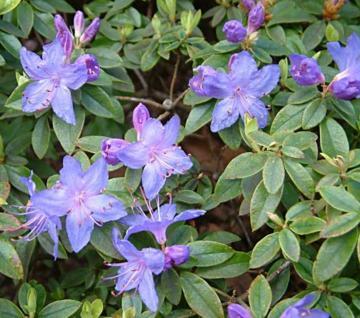 Compact, dwarf evergreen with small leaves and small trusses of violet-blue flowers in spring. Suitable for rock gardens or shrub borders. Raised at Bodnant by Lord Aberconway in 1930.